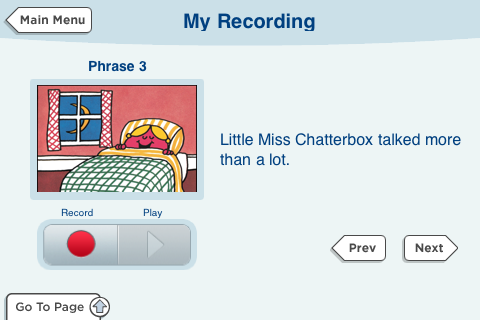 When Little Miss Chatterbox starts a sentence, it goes on and on and on. 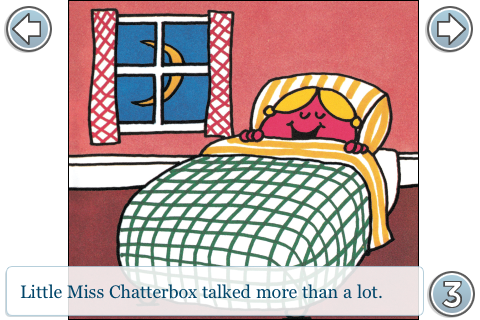 Roger Hargreaves was born in 1935 in Cleckheaton, Yorkshire, England. He drew the very first Mr. Men character, Mr. Tickle, when his son Adam asked him what a tickle looked like. At the time of his death in 1988 he had sold an estimated 85 million books in fifteen languages. 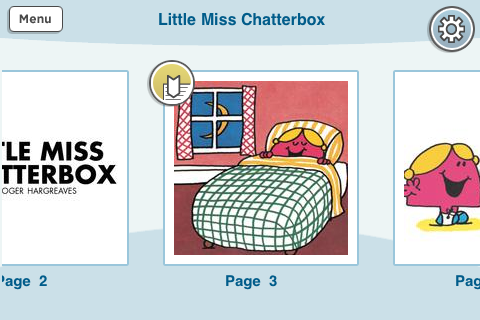 His son Adam has since taken over writing and illustrating the Mr. Men and Little Miss books. Price Stern Sloan is an imprint of Penguin Group (USA) that produces quirky, unique books. PSS! 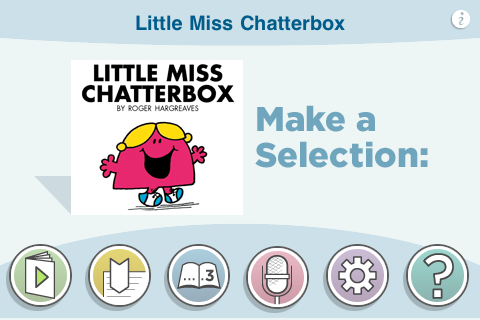 publishes novelty, paperback, and hardcover titles, including Mad Libs, Mr. Men and Little Miss, Wee Sing, artist Ed Heck’s books, and movie tie-in books. 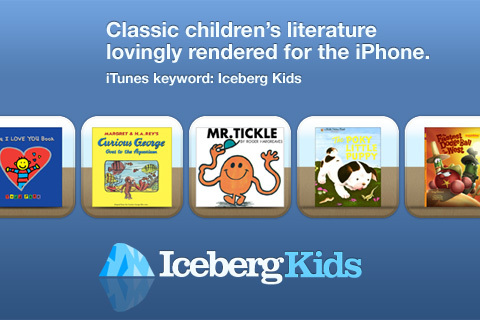 ScrollMotion, creator of the Iceberg Reader and Iceberg Kids, is a content technology company based in downtown New York City. For more information, visit www.scrollmotion.com.